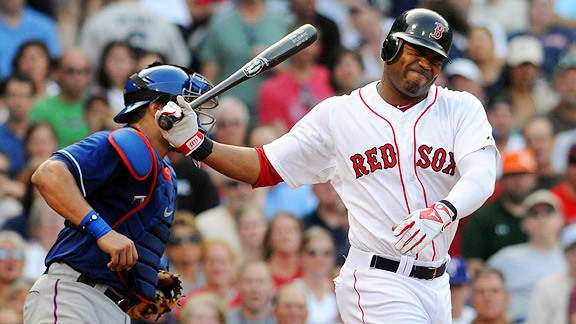 Yesterday, Ben Cherington announced that Carl Crawford had surgery on his injured left wrist. This comes as a huge blow to the Red Sox. All hopes were that Crawford would turn around his horrible performance last year and come into this year as a new man. Clearly not the case, and he is most likely not going to be ready at the start of the season. The Sox need to address the issue in outfield immediately. Luckily, they were able to avoid arbitration with Jacoby and sign him to a one year contract, which was a step in the right direction. Not much else to say about Crawford though, besides the fact he has been a total dissapointment since his signing, lets hope he doesn’t turn out to be J.D. Drew in disguise during these next six years we have with him. “Carl! So nice to see you!”- Wish i could say the same Billy, I really do. This entry was posted in Red Sox and tagged ben cherington, billy madison, carl crawford, jd drew by TOB$. Bookmark the permalink.